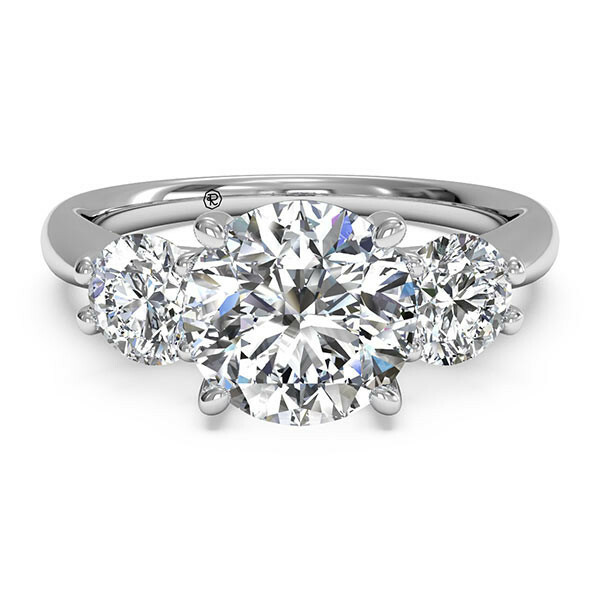 This Ritani engagement mounting is simply beautiful and beautiful in its simplicity. Three round diamonds set in prong setting make up this three-stone style. Shown from the side, you will notice a "royal crown" openwork design beneath the gemstones. This engagement setting from Ritani is has an airy and graceful look!